Looking for a special restaurant in London for lunch or dinner? Quickly review 100+ of London's best restaurants with food reviews and the latest photos with bargain pre theatre and set menu deals. Dinner at the Ivy for <£25? A fantastic Italian set menu for under £15? Make your next London dining experience extra special, with the BEST guide to the pre- theatre menus! 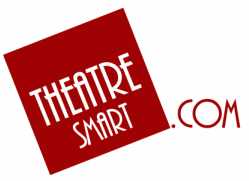 TheatreSmart loves theatre, and we've put together a guide to deliver quality and affordability, all with great proximity to 50+ London theatres! Come dine with our guide! Why did we put together a 10,000+ word guide of the best London pre-theatre menu restaurants? To AVOID the Tourist Traps - a bad meal is often a bad experience, and expensive - our list was put together to guide you to the winners to suit every taste, occasion and budget! To support the independents - 95% of our listing as CHAIN-FREE establishments, meaning diligent management, a unique vibe and unique dining! To make everyone aware of fine dining without the price! With our guide, you can enjoy a three course splurge at The Ivy and have change from £30(!) or feast at Covent Garden for <£15 and stroll to a number of theatres. To make theatre experiences affordable! We're priced every venue into <£15, £15-£20, £20-25 and £25+ to make sure there is something for everyone, everywhere. We've done the work to make the deals transparent, even pre-advising of the booze prices! This guide is growing. Got a recommendation? Tweet us @theatresmarkuk and let us know. ​Why: Go back to the heart of Covent Garden, when the location was an orchid warehouse, and dine on some fantastically priced and presented Italian. It's pre-theatre magic defined. Who To Take: A date, a friend or a family member - the intimate setting is perfect for a catch up. TripAdvisor Ranking: Consistently within/around Top 1500 restaurants in London. When? Allow 1-1.5 hours for the meal/drinks. The timings are Tuesday to Saturday 12pm - 7pm, and after 10pm until closing. Served all day on Sunday and Monday. Pricing: Two courses cost £14.75, three courses £17.50 with service an additional 12.5%. ​Why: The friendly atmosphere and the reasonable prices make this place all the more attractive. Who To Take: Take the one you love to this wonderful place for a date, or have a wonderful family eat out. TripAdvisor Ranking: Consistently within/around Top 400 restaurants in London. When? Allow 1-1.5 hours for the meal/drinks. The timings are from 12pm - 6:30pm, and after 10pm until closing. Served throughout the week. Pricing: Two courses cost £13.50, three courses £16.45 with service an additional 12.5%. Why: The less costly yet sophisticated cuisine and the divine presentation will sure enthrall you here at Joe Allen. Who To Take: The place is ideal to visit if you want to grab a different taste of American delicacies. TripAdvisor Ranking: Consistently within/around Top 800 restaurants in London. When? Allow 1-1.5 hours for the meal/drinks. The timings are from Tuesday to Saturday are 12pm - 7pm, and after throughout the day on Sunday and Monday. Theatres within a 10-minute walk: Adelphi Theatre, Lyceum Theatre and Theatre Royal. Why: One of the best restaurants in Covent Garden, when it comes to food. You should definitely come here for the delicious Belgian mussels. Who To Take: A lovely place for a family eat out. When? Allow 1-1.5 hours for the meal/drinks. The timings are from Monday to Friday. Pricing: Two courses cost £7.50. Theatres within a 10-minute walk: The Ambassadors Theatre, St. Martin's Theatre and Adelphi Theatre. Why: To enjoy the best of Indian delicacies under the supervision of Chef Vivek Singh in one of the most leisurely environment. Who To Take: This is a fun filled place, so you must be having a great time if you come here to hang out with your friends. When? Allow 1.5 hours for the meal/drinks. The timings are Monday to Saturday from 12pm to 4pm and from 9.30pm to close. Pricing: Two courses cost £12, three courses £15, with service an additional 12.5%. Excellent value given the setting and a great pre-theatre experience. Why: The supplementary attractions like club spaces, spa, that the guests are presented with, in this place, are enough to lure you to come along. Who To Take: It would be a goo experience coming here alone and if not, then with your partner. TripAdvisor Ranking: Consistently within/around Top 50 restaurants in London. When? Allow 1.5 hours for the meal/drinks. The timings are opening till 5pm throughout the week. Pricing: Two courses cost £8, with service an additional 12.5%. Excellent value given the setting and the cost. Why: This is one of the most sophisticated townhouse hotels in London, hence you will be amazed by everything here, from the pale duck egg blue walls that greet you on arrival to the designer lighting by Sarah Marsden that hangs impressively down through the stairwell. Who To Take: This would be a ideal place to go for some official parties or to take your clients to for a formal eat out. TripAdvisor Ranking: Consistently within/around Top 300 restaurants in London. When? Allow 1.5 hours for the meal/drinks. The timings are 12pm to 4pm and 5pm to 9pm throughout the week. Pricing: Two courses cost £14 and three courses cost £18 for lunch and for dinner a three course menu cost £22.50, with service an additional 12.5%. Excellent value given the setting and the cost. Theatres within a 10-minute walk: The Royal Court Theatre, Victoria Palace Theatre and Apollo Victoria Theatre. Why: To enjoy an easy-going Mediterranean cooking in an elegant yet relaxed atmosphere that is appealing and tempting. Who To Take: As mentioned in the official site of this restaurant as well, this place is best enjoyed with a group of friends. TripAdvisor Ranking: Consistently within/around Top 100 restaurants in London. When? Allow 1.5 hours for the meal/drinks. The timings are Monday to Friday afternoon. Pricing: Two courses cost £12 and three courses cost £15 for lunch with service an additional 12.5%. Excellent value given the setting and the cost. Theatres within a 10-minute walk: The Royal Court Theatre, Gate Theatre and Chelsea Theatre. Why: To enjoy one of the most ultra-stylish design and innovative fusion of cuisine from across East Asia. Who To Take: You can take out your friends on your next birthday bash to this place. TripAdvisor Ranking: Consistently within/around Top 50 restaurants in Ipswich. When? Allow 1.5 hours for the meal/drinks. The timings are Tuesday to Sunday in the afternoon. Pricing: Two courses cost £12.50 and three courses cost £14.50 for lunch with service an additional 12.5%. Excellent value given the setting and the cost. Theatres within a 10-minute walk: New Wolsey Theatre, Ipswich Regent and Ipswich Film Theatre. Who To Take: The place is just perfect for you to come with anyone who wants to accompany you. TripAdvisor Ranking: Consistently within/around Top 10 restaurants in Croydon. When? Allow 1.5 hours for the meal/drinks. The timings are Tuesday to Friday from 12pm to 3pm and Monday to Thursday from 6pm to 7pm. Pricing: Two courses cost £9.80 for lunch and £14.95 for dinner with service an additional 12.5%. Excellent value given the setting and the cost. Theatres within a 10-minute walk: Polka Theatre, Churchill Theatre and Theatre503. ​Why: The Almeida is well reviewed by The Telegraph and the Evening Standard, offering "Classic English Dining" in an elegant setting, feet away from the Almeida box office. A fresh, wild focus on English produce - with line-caught fish and berries big on the menu. Who To Take: Definitely a treat for the Grandparents, parents-in-law or a friend who likes fine things. TripAdvisor Ranking: Consistently within/around Top 1,000 restaurants in London. When? Allow 1.5 hours for the meal/drinks. The timings are 5.30pm to 7.30pm and from 9.30pm to close. Pricing: Two courses cost £19.90, three courses £22.90, with service an additional 12.5%. Excellent value given the setting and a great pre-theatre experience. Why: To enjoy a great French cuisine. Always provides something new on the menu and hence provokes you to visit again. Who To Take: Ideal for couples and families to enjoy some privacy along with good food. TripAdvisor Ranking: Consistently within/around Top 2,000 restaurants in London. When? Allow 1.5 hours for the meal/drinks. The timings are 5.00pm to 7.00pm and from 10.00pm to close. Pricing: Two courses cost £17, with service an additional 12.5%. Excellent value given the setting and a great pre-theatre experience. Drinks: Wine £30/£6 (Rosado Glacado, Clos des Augustins, Languedoc) bottle/glass. Theatres within a 10-minute walk: Adelphi Theatre, The Ambassadors Theatre and Lyceum Theatre. Why: The mixed variation in the menu and the fabulous position just opposite to the Royal Opera. Who To Take: Since it has a great diversity in its cuisine, this place is simply open to all. When? Allow 1.5 hours for the meal/drinks. The timings are 10.00pm to close, throughout the week. Pricing: Two courses cost £19.50 and Three courses cost £22.50, with service an additional 12.5%. Excellent value given the setting and a great pre-theatre experience. Drinks: Beer: Kronenbourg 1664 pound £5, Wine £8 (Luberon Rose Famille Perrin ) glass, Cranberry Juice £2.50. Theatres within a 10-minute walk: Lyceum Theatre, Theatre Royal and Novello Theatre. ​Why: If not for the position of the theaters nearby, you should definitely visit this place for the grilled dishes and the deliciously cooked fishes. Who To Take: The place does has a romantic attachment to it, so you can bring your loved ones here for a treat. When? Allow 1-1.5 hours for the meal/drinks. The timings are from Monday to Thursday. Pricing: Two courses cost £16.50, three courses £18.50 with service an additional 12.5%. ​Why: To enjoy the fabulous food; especially the black risotto and the veal saltimbocca. Who To Take: This place is to pay a visit for private dinner. when on a date or you can even go with your family. TripAdvisor Ranking: Consistently within/around Top 500 restaurants in London. When? Allow 1-1.5 hours for the meal/drinks. The timings are 12:30pm to 15:00pm and 17:30pm to 19:00pm, throughout the week. Pricing: One dish meal at £18 with service an additional 12.5%. Why: If you are in a hurry and want to grab a quick bite but definitely don’t want to compromise in terms of quality you should visit here. Who To Take: Friends, family, siblings, corporate eat-outs; this place is just an excuse to come to. TripAdvisor Ranking: Consistently within/around Top 1200 restaurants in London. When? Allow 1-1.5 hours for the meal/drinks. The timings are Sunday to Wednesday from 4:15pm to 6:45pm and 9:30 to 10:30pm. Pricing: Twp course meal with a 125ml complimentary drink at £15 with service an additional 12.5%. Why: The restaurant is perfectly positioned overlooking the London eye, hence you will get to enjoy the beautiful food along with some royal sights. Who To Take: This place is beautifully positioned and you can come here on a date or to enjoy with your family. When? Allow 1-1.5 hours for the meal/drinks. The timings are 5:30pm to 6:30pm throughout the week. Pricing: Two courses cost £19.50, three courses £23.50 with service an additional 12.5%. Theatres within a 10-minute walk: Her Majesty's Theatre, Adelphi Theatre and The Ambassadors Theatre. ​Why: To taste an incredibly simple yet delicious Italian cuisine in a homely, relaxing yet enchanting environment. Who To Take: You should visit this place with your family or fiancee, good food will eventually lead to a even better bonding. When? Allow 1-1.5 hours for the meal/drinks. The timings are from 12pm to 3pm, 5:30pm to 7pm and 10pm to 11pm throughout the week. Pricing: Two courses cost £19, three courses £23 with service an additional 12.5%. Theatres within a 10-minute walk: Her Majesty's Theatre, Piccadilly Theatre and The Criterion Theatre. Why: Since this hotel is a favourite of both the Queen Mother and Diana, Princess of Wales, hence, the royal connection is still quite strong, and the hotel's emphasis on tradition is one of its biggest draws. Who To Take: Keeping in mind the fact that the hotel is popular among single travellers, it is advised to visit this place alone to get the best feel. When? Allow 1-1.5 hours for the meal/drinks. The timings are Tuesday to Sunday 12pm to 2:30pm and Monday to Saturday 6pm to 9:30pm. Pricing: Two courses cost £19.95, four courses £29 with service an additional 12.5%. Theatres within a 10-minute walk: Her Majesty's Theatre, Theatre Royal Haymarket and Victoria Palace Theatre. Why: To enjoy a frequently changing menu revolving around the freshest, seasonal ingredients and the best of British produce coupled with a specially selected wine list. Who To Take: This is an ideal place to take your family to enjoy tasty, healthy and homely food. When? Allow 1-1.5 hours for the meal/drinks. The timings are 12pm to 2pm throughout the week. Pricing: Two courses cost £16.50, three courses £20 with service an additional 12.5%. Theatres within a 10-minute walk: Leicester Square Theatre, Piccadilly Theatre and Lyric Theatre. Celebrate #NationalBurgerDay in Hunter 486 and enjoy a delicious homemade burger! Why: There's a lot of reasons that would provoke you to come to this place; the location at the heart of London, the beautifully designed walls and most importantly, the open plan kitchen that enables guests to see the chef at work. Who To Take: This is a place that is ideal for you and your family, however, having said that, it is a must visit for all. TripAdvisor Ranking: Consistently within/around Top 20 restaurants in London. When? Allow 1-1.5 hours for the meal/drinks. The timings are Monday to Saturday 12pm to 7pm and 12pm to 10pm on Sunday. Pricing: Two courses cost £19, three courses £21 with service an additional 12.5%. Theatres within a 10-minute walk: Open Air Theatre, Piccadilly Theatre and New DioramaTheatre. Why: This place is a popular destination in a thriving cosmopolitan community, and the perfect place to enjoy the buzz of Marylebone Lane which is one of the capital’s most fashionable thoroughfares. Who To Take: This is a place to come with your friends and is ideal to stage your college re-union. When? Allow 1-1.5 hours for the meal/drinks. The timings are 12pm to 5pm throughout the week. Pricing: Two courses cost £17, three courses £23 with service an additional 12.5%. Theatres within a 10-minute walk: Open Air Theatre, London Palladium and New DioramaTheatre. Why: To enjoy a natural, modern British cuisine, prepared using the finest, locally sourced seasonal, sustainable ingredients. Who To Take: This is a place to come with your loved ones; you can always come here to make your date a memorable one. TripAdvisor Ranking: Consistently within/around Top 10 restaurants in London. When? Allow 1-1.5 hours for the meal/drinks. The timings are Monday to Saturday 12pm to 2:30pm and 6:30pm to 10pm. Pricing: Two courses cost £17, three courses £20 with service an additional 12.5%. Theatres within a 10-minute walk: Richmond Theatre, Orange Tree Theatre and Rose Theatre. Why: To taste an incredibly simple yet delicious British cuisine in a homely, relaxing and casual environment. Who To Take: You should visit this place with your family or fiancee, or can come along with your buddies as well. TripAdvisor Ranking: Consistently within/around Top 150 restaurants in London. When? Allow 1-1.5 hours for the meal/drinks. The timings are Monday to Thursday 7pm to 12pm. Pricing: Two courses cost £19.50, three courses £22.50 with service an additional 12.5%. Drinks: Beer: £5 (Harviestoun Porter), Wine £28 (Primitivo, Visconti della Rocca) bottle. Theatres within a 10-minute walk: Soho Theatre, Queen's Theatre and Lyric Theatre. Why: To taste an incredibly delicious British' menu in a lovingly restored traditional dining room. Who To Take: This is a place that is a must go for a traditional family dinner, not only shall it fill your stomach, it shall sooth your hearts too. TripAdvisor Ranking: Consistently within/around Top 1000 restaurants in London. When? Allow 1-1.5 hours for the meal/drinks. The timings are Monday to Friday 12pm to 3pm and 5pm to 10pm. Drinks: Wine £7.25 (VALCHETA MALBEC) glass. Theatres within a 10-minute walk: Adelphi Theatre, The Ambassadors Theatre and Garrick Theatre. Why: To dip yourself in the innovative cuisine prepared, using local and seasonal ingredients and to get mesmerised by the creative works by Tracey Emin and Damien Hirst. Who To Take: This is a place for all; be it your family or friends or your office colleagues. TripAdvisor Ranking: Consistently within/around Top 2200 restaurants in London. When? Allow 1-1.5 hours for the meal/drinks. The timings are Monday to Saturday 12pm to 6:30pm. Drinks: Wine £64.50/£11 (Hambledon "Classic Cuvee") bottle/glass. Theatres within a 10-minute walk: Piccadilly Theatre, Lyric Theatre and Queen's Theatre. Why: To enjoy the best of modern British cuisine in a elegantly upholstered, art deco-inspired dining room that offers much more tranquillity, complete with Victorian botanical prints and windows opening onto the street. Who To Take: You can setup a grand family dinner or organise a corporate party out in this place. TripAdvisor Ranking: Consistently within/around Top 2000 restaurants in London. When? Allow 1-1.5 hours for the meal/drinks. The timings are Monday to Friday 12pm to 11pm and 4pm to 11pm on weekends. Pricing: Two courses cost £15, three courses £18 with service an additional 12.5%. Drinks: Wine £35/£10.10 (DECERO, MENDOZA, ARGENTINA 2012) bottle/glass. Theatres within a 10-minute walk: The Royal Court Theatre, Royal Court Theatre and Apollo Victoria Theatre. Always start your day with a good breakfast. Why: To enjoy a happy blend of Parisian café with Provencal-based food along with some mouth watering dessert combinations. Who To Take: You can just come up to this place whenever you feel like and with whomsoever you want to, the place has an homely environment. TripAdvisor Ranking: Consistently within/around Top 13000 restaurants in London. When? Allow 1-1.5 hours for the meal/drinks. The timings are Monday to Sunday 12pm to 10pm. Pricing: Two courses cost £15.50, three courses £19.50 with service an additional 12.5%. Drinks: Wine £29.5/£7.5 (Château de l’Aumerade ‘Cuvée Marie Christine’) bottle/glass. Theatres within a 10-minute walk: Barbican Centre, Shakespeare's Globe and The Bridewell Theatre. Why: To enjoy the best of Hyderabadi Biriyani and kebabs in a place which has made a formation of east-west amalgam, right down to its decor, flavours and cooking techniques. Who To Take: This is a place where you can set up your corporate parties or can come out for a grand family dinner. TripAdvisor Ranking: Consistently within/around Top 700 restaurants in London. When? Allow 1-1.5 hours for the meal/drinks. The timings are Monday to Friday 12pm to 2:45pm, 6:00pm to 6:30pm and 9:30pm to 10:45pm. Pricing: Two courses cost £16, three courses £19 with service an additional 12.5%. Drinks: Beer £5 (Peroni), Wine £30/£5.5 (Pinot Grigio Rose Fabiano) bottle/glass, Coke £3. Theatres within a 10-minute walk: Barbican Centre and The Courtyard. environment made of pale wood, reclaimed brick and industrial touches add up to a clean modern feel. Who To Take: If you come here for an occasional date, the environment should definitely work in your favour. TripAdvisor Ranking: Consistently within/around Top 200 restaurants in London. When? Allow 1-1.5 hours for the meal/drinks. The timings are 5pm to 7pm and 10pm to 10:45pm throughout the week. Pricing: Two courses cost £18.50 and three courses cost £23 with service an additional 12.5%. Drinks: Beer £4.80 (Birra Moretti, Italy), Wine £14.8/£4.5 (2014 Mannara, Syrah) bottle/glass, Coke £3. Theatres within a 10-minute walk: Adelphi Theatre, Lyceum Theatre and Novello Theatre. Why: To enjoy some crispy Romney Marsh lamb breast with wild garlic and creamed potato in this passionately run restaurant which is naturally great for a bit of outdoor gallivanting. Who To Take: This is a place ideal to have some great moments with your love. TripAdvisor Ranking: Consistently within/around Top 5 restaurants in Camber. When? Allow 1-1.5 hours for the meal/drinks. The timings are 12pm to 14:30pm throughout the week. Pricing: Two courses cost £16 and three courses cost £20 with service an additional 12.5%. Drinks: Wine £29.5/£6.5 (Chapel Down English Rosé 2014 Kent) bottle/glass. Theatres within a 10-minute walk: White Rock Theatre and The Marlowe Theatre. For your consideration: roast quail, Wye Valley asparagus, Montgomenry fondue and candied hazelnuts. Why: To enjoy something simple yet delicious like smoked salmon with rye bread in a swanky gastropub that has the potential to attract even City high-fliers. Who To Take: Visit this place with your friends to enjoy some light moments. TripAdvisor Ranking: Consistently within/around Top 4000 restaurants in Camber. When? Allow 1-1.5 hours for the meal/drinks. The timings are 6pm to 7pm throughout the week. Pricing: Two courses cost £16.50 and three courses cost £19.95 with service an additional 12.5%. Drinks: Wine £26.50/£6.80 (Lambrusco) bottle/glass. More #Seafood we can't get enough! whose interior is built up with pale walls and dark leather furniture. Who To Take: This peppy place is a great hangout opportunity with your buddy gang. TripAdvisor Ranking: Consistently within/around Top 700 restaurants in Camber. When? Allow 1-1.5 hours for the meal/drinks. The timings are 12pm to 3pm and 5:30pm to 6:30pm throughout the week. Pricing: Two courses cost £16 and three courses cost £21 with service an additional 12.5%. Drinks: Wine £39/£7.50 (FIORI ROSÉ BRUT, CLARA C.) bottle/glass. Theatres within a 10-minute walk: Dominion Theatre, Soho Theatre and Phoenix Theatre. It's #Thursday! Treat yourself with our #shellfishplatter #oysters #clams #prawns and more! Why: To enjoy the best fish and chips or smoked-haddock Scotch eggs in a place beautifully decorated with aquamarine ceiling, bright tones, white brickwork and marble bar. Who To Take: You should take with you, all fish lovers you know, to this place. TripAdvisor Ranking: Consistently within/around Top 1500 restaurants in Camber. When? Allow 1-1.5 hours for the meal/drinks. The timings are from Monday to Friday 5pm to 6:30pm and on Saturday 5:30pm to 10:30pm. Pricing: Two courses cost £16.50 and three courses cost £19.50 with service an additional 12.5%. Drinks: Beer £4.50 (Peroni), Wine £24.25/£6.25 (Riesling Trocken) bottle/glass. Theatres within a 10-minute walk: Barbican Centre, Shakespeare's Globe and The Courtyard. Why: To enjoy baked duck egg with ceps and sourdough or roast cod with squid tagliatelle in a nothing flashy but homely kind of environment. Who To Take: Since the set menu availability is only on Sundays, you can come up with your brothers or siblings for having a good time out here. TripAdvisor Ranking: Consistently within/around Top 800 restaurants in Camber. When? Allow 1-1.5 hours for the meal/drinks. The availability is only on Sundays. Pricing: Two courses cost £20 and three courses cost £25 with service an additional 12.5%. Drinks: Wine £24.25/£6.25 (Journeymaker, Chenin Blanc) bottle/glass. Theatres within a 10-minute walk: Piccadilly Theatre, The Criterion Theatre and Lyric Theatre. Why: To enjoy salty beef cheeks or smoky-fleshed mackerel and a lot more in a environment perfectly setup by distressed brass, dark woods and shabby-chic furniture. Who To Take: This is yet another place which anyone and everyone shall like, hence you can bring along anyone you wan with you. TripAdvisor Ranking: Consistently within/around Top 100 restaurants in Camber. When? Allow 1-1.5 hours for the meal/drinks. The availability is Monday to Saturday 12pm - 2:30pm. Pricing: Two courses cost £17 and three courses cost £21 with service an additional 12.5%. Drinks: Wine £22/£6.50 (Merlot, Les Fleurs de Montblanc, IGP Côtes de Thongue) bottle/glass. Theatres within a 10-minute walk: Dominion Theatre, Soho Theatre and The Shaftesbury Theatre. Why: To enjoy the thick, fishy taramasalata or beef cheek fricassee in a contemporary environment setup with airy, light-wood and marble interior. Who To Take: It would be a good idea to visit this place first with your friends to get along with the feel and mood of the surrounding environment. TripAdvisor Ranking: Consistently within/around Top 1300 restaurants in Camber. When? Allow 1-1.5 hours for the meal/drinks. The availability is Monday to Friday 12pm - 5pm. Pricing: Three courses cost £15 and four course cost £18 with service an additional 12.5%. Drinks: Beer: £5.5 (Septem Pilsner), Wine £6.50 (2014 Meden Agan) glass, Coke: £3. Theatres within a 10-minute walk: Open Air Theatre, New Diorama Theatre and London Palladium. TripAdvisor Ranking: Consistently within/around Top 250 restaurants in London. When? Allow 1-1.5 hours for the meal/drinks. The timings are Monday to Thursday 2:30pm to 6pm and after 10pm. Served all day on Sunday. Pricing: Two courses cost £23.50, three courses £27.50 with service an additional 12.5%. ​Why: To give the taste buds a feel of the best modern Mexican eating. Who To Take: Since the restaurant boasts of having separately arranged private ambiance as well as a club, so it's pretty much open to all. When? Allow 1-1.5 hours for the meal/drinks. The timings are 12:00pm to 6:30pm all throughout the week. Pricing: Two courses cost £20, three courses £25 with service an additional 12.5%. ​Why: The incredible starters, the pork delicacies and the glorious desserts - ample reasons to visit this dazzling place. Who To Take: Given the restaurant's conservative outlook, it is ideal to visit the place with your family. When? Allow 1.5 hours for the meal/drinks. The timings throughout the week are 5:30pm to 6.30pm and from 10pm to 10:15pm for a matinee. Pricing: Two courses cost £22, three courses £27, with service an additional 12.5%. This may be higher than the others down the road, but you're paying for a premium for a unique find. What a start to the night! Theatres within a 10-minute walk: Adelphi Theatre, Theatre Royal and Lyceum Theatre. Why: To get dazzled by the grand interior of the place and to enjoy the high quality cuisine. Who To Take: Perfect place to come with your friends and have a splendid time out. TripAdvisor Ranking: Consistently within/around Top 2500 restaurants in London. When? Allow 1.5 hours for the meal/drinks. The timings from Monday to Wedesday are 5pm to 7.15pm and from Thursday to Sunday it is 12pm to 7:15pm. Theatres within a 10-minute walk: Theatre Royal, New London Theatre and Lyceum Theatre. Why: To enjoy the finest steaks from round the world along with the best quality wine which is served at this place. Who To Take: This place is again one such example where you can have a great time with your close ones. When? Allow 1.5 hours for the meal/drinks. The timings are 5.30pm to 7.00pm and 9.45pm to 11.00pm, throughout the week. Pricing: Two courses cost £22, three courses £25, with service an additional 12.5%. Why: Another restaurant providing views of the Thames along with great food at an affordable price. Who To Take: Things can get so romantic with the Thames in front of you and so this place is recommended to be visited with your love or with your family. TripAdvisor Ranking: Consistently within/around Top 600 restaurants in London. When? Allow 1.5 hours for the meal/drinks. The timings are 12pm to 3pm and from 5pm to 6pm for a matinee at the Globe Theatre. Pricing: Three courses cost £24.50, with service an additional 12.5%. Theatres within a 10-minute walk: National Theatre, Shakespeare's Globe and Unicorn Theatre. Why: We should at times choose a place to eat simply because of the food it serves and not by the outlook of the place, that exactly is why you should be coming here. Who To Take: You can accompany your friends to this place or can come with your siblings for a casual eat out. When? Allow 1.5 hours for the meal/drinks. The timings are Monday to Friday 5:30pm to 6.30pm. Pricing: Dishes to be shared cost £24.50. Theatres within a 10-minute walk: Criterion Theatre, Soho Theatre and The Lyric. Why: To have a great time enjoying the seasonal and contemporary British cuisine under the supervision of Michelin-starred Executive Chef Jason Atherton. Who To Take: You can accompany your friends to this place or your colleagues especially after a tough day at office. When? Allow 1.5 hours for the meal/drinks. The timings are Monday to Friday 12pm to 5.30pm. Pricing: Two courses cost £24.50 and three courses £29.50 with service an additional 12.5%. Drinks: Wine £12 (Condrieu, La Petite Cote) glass. Why: Firstly due to the location and secondly due to its exquisite beauty. The thematic beauty throughout the hotel features original art from the period and a mural in the brasserie reflecting scenes of 'contemporary London life'. Who To Take: You can accompany your family here for a grand eat out or can enjoy a perfect corporate party out here. TripAdvisor Ranking: Consistently within/around Top 30 restaurants in London. When? Allow 1.5 hours for the meal/drinks. The timings are from Monday to Saturday. Pricing: Two courses cost £22.50 and three courses £25 with service an additional 12.5%. Drinks: Beer: £6, Wine £28/£8.50 (Ochagavia Silvestre Merlot) bottle/glass. Why: To enjoy the British classics like Wheeler’s fish pie, a choice from our wide selection of steaks — from rib of beef to entrecote of veal — or one of Marco’s favourites, such as grilled Dover sole à la salamander. When? Allow 1.5 hours for the meal/drinks. The timings are Monday to Friday from 12pm to 2.30pm and 5.30pm to 10pm. Pricing: Two courses cost £24 and three courses £29 with service an additional 12.5%. Drinks: Beer: £4.75 (Peroni), Wine £59/£10.50 (Laurent-Perrier Brut) bottle/glass, Coke £3.50. Theatres within a 10-minute walk: Shakespeare's Globe, Barbican Centre and The Bridewell Theatre. Dan perfected the confit duck today, with sprouted lentils, pomegranate and mandarin. ​Why: To enjoy the courgette and manouri fritters with cardamom yoghurt, twice-cooked baby chicken, and sea bream with rose harissa and other such signature dishes by chef Ramael Scully. Who To Take: The wide variety of delicious dishes here shall be best enjoyed by all the foodie friends you have. When? Allow 1.5 hours for the meal/drinks. The timings from Monday to Friday are 12pm to 2.45pm and from 5.30pm to 10.30pm. Pricing: Two courses cost £24.50, with service an additional 12.5%. This may be higher than the others down the road, but you're paying for a premium for a unique find. What a start to the night! Theatres within a 10-minute walk: Piccadilly Theatre, Lyric Theatre and The Criterion Theatre. ​Why: To enjoy the taste of royal American food in a place that is made up of modern art and glamorous interiors. Who To Take: The setup is just perfect for you to surprise your parents with the perfect party. When? Allow 1.5 hours for the meal/drinks. The timings are from Monday – Friday 12pm - 3pm and 6pm till close. Pricing: Two courses cost £20 and three courses cost £25, with service an additional 12.5%. Theatres within a 10-minute walk: Her Majesty's Theatre, Theatre Royal Haymarket, Jermyn Street Theatre. Why: To enjoy the Herdwick lamb neck with smoked aubergine, courgettes and girolles in an open-plan former garage space, cleverly arranged with dividing curtains, hidden corners and leather sofas. Who To Take: This is yet again one of those places which can be best utilised and enjoyed with your friends. When? Allow 1.5 hours for the meal/drinks. The timings are from Monday to Friday 12pm - 2:30pm and 6pm - 10:30pm. For Saturday, the timing is 6pm - 7pm and Sunday, it is from 6pm - 9:30pm. Theatres within a 10-minute walk: Chelsea Theatre, The Royal Court Theatre, Theatre503. Why: To enjoy the delicious pan-fried scallops with quinoa ceviche and lemon oil to lamb cutlets in a wonderful light ambience made of exposed brickwork, blood-red chairs and views of the open kitchen. Who To Take: You can definitely opt for this place after office for having a gala time with your friends. TripAdvisor Ranking: Consistently within/around Top 6000 restaurants in London. When? Allow 1.5 hours for the meal/drinks. The timings are from Tuesday to Saturday 6:30pm - 10:30pm. Pricing: Three courses cost £21, with service an additional 12.5%. Theatres within a 10-minute walk: The Courtyard, Unicorn Theatre, Shakespeare's Globe. Why: To enjoy some delicious British eateries like smoked fish, charcuterie, grills and pies in a place which is famed for its refined elegance. Who To Take: You can come up with your friends to this place for a casual eat out. When? Allow 1.5 hours for the meal/drinks. The timings are from Monday to Friday 12pm - 2:30pm. Pricing: Two courses cost £21 and three courses cost £25, with service an additional 12.5%. Drinks: Wine £41/£6 (Muscat de Rivesaltes, Domaine des Chênes, Roussillon) bottle/glass. Theatres within a 10-minute walk: The Bridewell Theatre, Sadler's Wells Theatre, Aldwych Theatre. We absolutely #LOVE this post from @the_cheeksterx - great shot! This is our very special #softshellcrab #cafreal - delicious! Why: To enjoy crisp golgappas packed with fiery intensity, sweet potato and chilli 'samoseys' revved up with tamarind chutney, and sublimely tender lamb in a place having interiors of grey leather and dark woods, with splashes of orange. Who To Take: You can definitely rise up to the occasion and bring your family here for a grand dinner. When? Allow 1.5 hours for the meal/drinks. The timings are from 5pm - 6pm and 9:30pm - 10:30pm, throughout the week. Pricing: Three courses cost £23.75, with service an additional 12.5%. Drinks: Beer £5.75 (Brewdog Punk IPA), Wine £29.75/£7.75 (Lemons Glera Prosecco Frizzante, Italy) bottle/glass, Coke £2.95. Theatres within a 10-minute walk: The Ambassadors Theatre, Leicester Square Theatre, Her Majesty's Theatre. Why: To enjoy salt-marsh lamb with roasted tomato and salsa verde pacious in a restaurant adorned with flashy Murano glass and lots of shiny leather. Who To Take: This place can be visited on a casual date or with your friends. TripAdvisor Ranking: Consistently within/around Top 900 restaurants in London. When? Allow 1.5 hours for the meal/drinks. The availability is in the evening, throughout the week. Drinks: Wine £22/£6 (Terra Sillicane) bottle/glass. Theatres within a 10-minute walk: Barbican Centre, The Bridewell Theatre, Shakespeare's Globe. zany in a place decored with swooping architecture of the Serpentine Sackler Gallery. Who To Take: The food here would be liked by everyone, so you might bring your parents or your partner or all of them together. TripAdvisor Ranking: Consistently within/around Top 5000 restaurants in London. When? Allow 1.5 hours for the meal/drinks. The timing is from Tuesday to Friday 12pm to 3pm. Pricing: Two courses cost £23.50 and three courses cost £27.50, with service an additional 12.5%. Drinks: Beer £4.50 (Curious Brew), Wine £32/£8 (Sangiovese/Cabernet Sauvignon, Centine Rosso) bottle/glass, Coke £2.75. Theatres within a 10-minute walk: The Roya Court Theatre, Gate Theatre, Canal Cafe Theatre. Happy #WorldTapasDay! DO YOU KNOW THE ORIGIN OF TAPAS? One of the version is: In XIII century, Alfonso X El Sabio was a Spanish king who ordered that no Castilian taverns serve wine unless it was accompanied by some food to prevent alcohol affect fast to the head. #ibericafacts #tapas #worldtapasday #spain #tapa #gastronomy #tradition #food #tapasday Celebrate today with tapas! Why: To enjoy the triple-cooked lamb or the creamy croquetas and chorizo lollipops in an environment made up of deep-red wood and fawn leather banquettes. Who To Take: You can arrange for a healthy office party here at this place. When? Allow 1.5 hours for the meal/drinks. The timing is from noon till close throughout the week. Pricing: Three courses cost £22, with service an additional 12.5%. Drinks: Beer £4.80 (Mahou), Wine £28/£6 (Viña Almate. Tempranillo. VT. de Castilla ) bottle/glass, Coke £2.50. Theatres within a 10-minute walk: Greenwich Theatre, The Space, Half Moon Theatre. ​Why: Quite possibly the hippest pre-theatre menu in this corner of London. Part of the esteemed St Martins Lane Hotel, Asia de Cuba is probably best known for its Dubai-style brunches. However, a pre-theatre treat awaits. With plenty of Chipotle (the real stuff, not the burrito) and a bit of Peruvian and Mexican in every course, you can't go wrong. Who To Take: Definitely a date, your parents if they're in the mood for non-standard and possibly a younger sibling (just to prove your're still relevant). TripAdvisor Ranking: Consistently within/around Top 500(!) restaurants in London. When? Allow 1.5 hours for the meal/drinks. The timings are 5pm to 6.30pm and from 12pm to 2:30pm for a matinee. Pricing: Two courses cost £25, three courses £30, with service an additional 12.5%. This may be higher than the others down the road, but you're paying for a premium for a unique find. What a start to the night! Theatres within a 10-minute walk: ALL of the West End, and right beside The Duke of York's, Noël Coward, London Coliseum (English National Opera) and the Arts Theatre. Why: To get one of the best cocktails and steaks and ambiance in England. Who To Take: Good place to explore with friends but very much welcome for families as well. When? Allow 1.5 hours for the meal/drinks. The timings are from opening till 6.30pm and from 10pm till close. Served from Monday to Saturday. Pricing: Two courses cost £25, three courses £28, with service an additional 12.5%. Theatres within a 10-minute walk: Noël Coward Theatre. Why: To enjoy the enchanting dining room, the romantic environment and the elegant French cuisine. Who To Take: Being voted as the world's most romantic restaurant gives each of us enough options to decide whom to take along with us. When? Allow 1.5 hours for the meal/drinks. The timings from Monday to Saturday are 5:00pm to 6.00pm and 10pm to 11pm. On Sunday, set menu is served from 5pm to 10pm. Pricing: Two courses cost £24.50, three courses £29.50, with service an additional 12.5%. On Friday and Saturday, two courses cost £29.50. Drinks: Wine £7 (Banyuls, Domaine de la Rectorie) glass. Why: To enjoy seasonal British delicacies at an affordable price in a romantic and private environment. Who To Take: Since the price charts are bit on the higher side at this place rather than the ones present down the road, this restaurant can be visited for a grand family eat out or a corporate lunch. When? Allow 1.5 hours for the meal/drinks. The timings from Monday to Saturday are 12:00pm to 15.00pm and 12:30pm to 16:00pm on Sundays. Pricing: Two courses cost £25 and three courses £29, with service an additional 12.5%. Drinks: Beer: £7 (Peroni), Wine £80/£16(Laurent-Perrier Brut Champagne) bottle/glass, Coke: £5. Theatres within a 10-minute walk: Adelphi Theatre, Garrick Theatre and Lyceum Theatre. Why: What can be more beautiful that enjoying some quality food with your vision set to the panoramic view of the Thames. Who To Take: Keeping the price chart in mind, this place would be an ideal visit for a corporate lunch or a grand family eat out. When? Allow 1.5 hours for the meal/drinks. The timings from Monday to Saturday are 12:00pm to 14.30pm , 17:30pm to 18:30pm and 21:30pm to 22.30pm. Pricing: Three courses cost £32, with service an additional 12.5%. Drinks: Wine £38/£9(Riesling Kabinett) bottle/glass. Theatres within a 10-minute walk: National Theatre, Shakespeare's Globe and Adelphi Theatre. Why: To enjoy a "royal" dinner, not only in terms of the cuisine served but also to enjoy the grandeur of the place. Who To Take: This place is ideal to come with your family for a grand eat out or with your clients to make some genuine impression on your taste. When? Allow 1.5 hours for the meal/drinks. The timings from Monday to Friday are 12:00pm to 14.30pm , 17:30pm to 21:30pm and on Saturday 17:30pm to 21.30pm. Pricing: Two courses cost £30 and three courses £38, with service an additional 12.5%. Drinks: Wine £12.50(Pinot Noir Bouvier) glass. Theatres within a 10-minute walk: Her Majesty’s Theatre, Prince of Wales Theatre and The Criterion Theatre. Why: To enjoy a "royal" and luxurious British cuisine amidst a variety of world class options and facilities. When? Allow 1.5 hours for the meal/drinks. The timings from Monday to Friday are from start to 6.30pm. Pricing: Two courses cost £33 with service an additional 12.5%. Theatres within a 10-minute walk: Victoria Palace Theatre, Apollo Victoria Theatre and The Royal Court Theatre. Why: This extremely popular place is exquisitely well designed and shall not only dazzle you with its calm and peaceful environment but also with its quality food. Who To Take: This place is perfect to come with your friends and shall be a perfect spot for a graduation re-union. When? Allow 1.5 hours for the meal/drinks. The timings from Monday to Friday are from 12pm to 2.30pm and for weekend it is 12pm to 2pm. Pricing: Two courses cost £28 and for three courses it is £35 with service an additional 12.5%. Drinks: Wine £50/£10(Gavi di Gavi Lugarara) bottle/glass, Coke: £4. Theatres within a 10-minute walk: New London Theatre, Peacock Theatre and The Ambassadors Theatre. Why: To enjoy a five star service which encompasses a passion for creative culinary expertise and almost entirely locally sourced food seasonal produce along with some great selection of drinks. Who To Take: Keeping the cost factor in mind, it would be highly sensible to choose whom you consider to accompany you in here. Hence, who else than you would know the priority list. When? Allow 1.5 hours for the meal/drinks. There is no stringent timelines about dinner as long as you keep them pre-informed about your requirements. Pricing: Two courses cost £45 and for three courses it is £55 with service an additional 12.5%. Drinks: Wine £38(Gnarly Head, Pinot Noir) bottle, Coke: £2.95. Theatres within a 10-minute walk: New London Theatre, St. Martin's Theatre and The Ambassadors Theatre. Why: To enjoy, the sweeping views of Mount Street, observe ‘Silence’, get mesmerised by the water feature in Carlos Place and enjoy a fabulous cuisine. Who To Take: This is an extremely romantic place with some fascinating sights, hence you should definitely come on a date here. When? Allow 1.5 hours for the meal/drinks. The timings are from 12pm to 3pm and 6pm to 10:30pm. Drinks: Beer: £9 (Menabrea), Wine £149/£35(Echo de Lynch Bages) bottle/glass, Coke: £4.50. Theatres within a 10-minute walk: Piccadilly Theatre, The Criterion Theatre and Jermyn Street Theatre. Why: To enjoy an exceptional dining, inspiring menus and beautiful, elegant surroundings. Who To Take: This is an extremely romantic place with some fascinating sights, hence you should definitely come on a date here or else you should accompany your family to this place. When? Allow 1.5 hours for the meal/drinks. The timings are Monday to Sunday from 12pm to 14pm. Pricing: Three courses cost £39 with service an additional 12.5%. Drinks: Beer: £8.50 (Pilsner Urquell), Wine £295/£65(Dom Pérignon 2006) bottle/glass, Coke: £4.50. Why: To be awed by a blend of visionary design with an exceptional menu and artisan cocktails curated by our talented team of chef masters. Who To Take: You can accompany your family to this place for a grand eat out. When? Allow 1.5 hours for the meal/drinks. The timings are Monday to Sunday from 12pm to 2:30pm and from 6pm till close. Pricing: Three courses cost £28 with service an additional 12.5%. Drinks: Wine £43/£10(COTES DE PROVENCE ROSE) bottle/glass. Theatres within a 10-minute walk: London Palladium, Soho Theatre and Dominion Theatre. When? Allow 1.5 hours for the meal/drinks. The timings are Monday to Sunday from 12pm to 2:30pm and from 6pm to 7pm. Pricing: Three courses cost £29.50 with service an additional 12.5%. Drinks: Wine £29/£7.25(Elegance Rosé, Carteron) bottle/glass. Theatres within a 10-minute walk: Her Majesty's Theatre, The Criterion Theatre and Piccadilly Theatre. Why: To enjoy the best of American and British cuisine and a modern yet casual dining experience in an informal setting alongside the River Thames. When? Allow 1.5 hours for the meal/drinks. The timings are Monday to Friday from 12pm to 7pm. Pricing: Two courses cost £25 and three courses cost £30 with service an additional 12.5%. Drinks: Beer: £5.5 (Heineken), Wine £13(Spotless Martini) glass, Coke: £3.50. Theatres within a 10-minute walk: National Theatre, Waterloo East Theatre and Shakespeare's Globe. Why: To enjoy the best of British flavours handled deftly and with sophistication. Each plate as much of a work of art as the Tracey Emin and Bridget Riley that hang on the walls. Who To Take: It is an out and out place for coming and enjoying the royal taste with your families and relatives. When? Allow 1.5 hours for the meal/drinks. The timings are Monday to Saturday from 12pm to 3pm and from 5:30 till close. Pricing: Two courses cost £27.50 and three courses cost £32.50 with service an additional 12.5%. Why: To enjoy an elegant dining matched by first class service and fresh English cuisine tempered with international touches of Ben Kelliher. Who To Take: Surprise your parents by booking this place as their grand anniversary gift. When? Allow 1.5 hours for the meal/drinks. The timings are Monday to Friday from 5:30pm to 10pm and on weekends 7:00pm to 10pm. Pricing: Two courses cost £28 and three courses cost £30 with service an additional 12.5%. Drinks: Beer: £6(Budvar), Wine: £28/£8 (Pinot Grigio Sacchetto) bottle/glass, Coke: £4. Theatres within a 10-minute walk: Picaddilly Theatre, The Criterion Theatre and Jermyn Street Theatre. Why: To enjoy a focused yet diverse menu which comprises of traditional mains with a modern twist, as the culinary team covers the spectrum of European cuisine. Who To Take: The food here is awesome and so is the environment, hence you can bring your partner with you and have a splendid time over here. When? Allow 1.5 hours for the meal/drinks. The timings are 6:00pm to 9:45pm throughout the week. Pricing: Two courses cost £28 and three courses cost £36 with service an additional 12.5%. Drinks: Beer: £4.75(Peroni), Wine: £16.50/£4.80 (Pinot Grigio Blush) bottle/glass, Coke: £2.50. Theatres within a 10-minute walk: The Bridewell Theatre, National Theatre and Shakespeare's Globe. Why: To enjoy a unique food philosophy that pairs the rustic, earthy flavours of Spain’s Basque region with modern, surprising twists. Who To Take: It's a place where you should come with someone who has loves to experiment new delicacies. When? Allow 1.5 hours for the meal/drinks. The timings are Tuesday to Friday from 12pm to 2pm. Pricing: Three courses cost £29 with service an additional 12.5%. Drinks: Wine: £55/£8 (Pasada Pastrana Hidalgo-La Gitana) bottle/glass. Theatres within a 10-minute walk: Apollo Vitoria Theatre, The Royal Court Theatre and Victoria Palace Theatre. Why: To enjoy the best of modern American steak in a restaurant featuring an appealing menu in a contemporary and dynamic environment. Who To Take: It's a place where you can come with simply anyone, hence, even if you don't get anyone to accompany you, just come alone. When? Allow 1.5 hours for the meal/drinks. The timings are 6pm to 6:30pm, throughout the week. Pricing: Two courses cost £42 and three courses £49 with service an additional 12.5%. Drinks: Wine: £52/£13 (Erbaluce, Ferrando, Caluso, Piedmont) bottle/glass. Theatres within a 10-minute walk: Piccadilly Theatre, The Critrion Theatre and Her Majesty's Theatre. Why: To enjoy a contemporary inspired interior with deep reds, high ceiling and mirrored wall that creates an impressive atmosphere for you to enjoy an authentic Chinese experience. Who To Take: Enjoying an authentic Chinese cuisine is by itself is a fabulous experience and hence doesn't really matter whom you take along with you. When? Allow 1.5 hours for the meal/drinks. The timings are 12pm to 15pm and 18pm to 22:30pm, throughout the week. Pricing: Two courses cost £40 for lunch and £60 for dinner with service an additional 12.5%. Drinks: Wine: £31 (Château Haut Rian, Bordeaux Sec) bottle. Theatres within a 10-minute walk: The Gate Theatre, The Print Room and The Drayton Arms. Why: To enjoy a panoramic view of The City and some unique yet delicately prepared seafood by Executive Chef, Gary Foulkes. Who To Take: If this is the first time you are visiting the place, it is recommended to take your friends along with you to try out the list. When? Allow 1.5 hours for the meal/drinks. The timings are 12pm to 3pm throughout the week. Pricing: Three courses cost £35 and six courses cost £49 with service an additional 12.5%. Drinks: Wine: £27/£6.95 (Verdejo, Diez Siglos, Rueda, Spain) bottle/glass. Theatres within a 10-minute walk: Barbican Theatre, The Bridewell Theatre and Shakespeare's Globe. Why: To enjoy a variety of traditional Indian cuisine combined with daring modernity in an environment made up of elegant, exotic interior.an elegant, exotic interior..
Who To Take: If you have a taste for Indian cuisine, definitely rush with your friends to savour the best of this place. When? Allow 1.5 hours for the meal/drinks. The timings are Monday to Saturday 12pm to 2:30pm and 5:30pm to 6:30pm. Pricing: Two courses cost £29 and three courses cost £35 with service an additional 12.5%. Drinks: Wine: £7 (Saperavi Atul’s Signature) glass. Why: To enjoy a well-mixed pornstar martini or vanilla screw in the juke-joint basement or savour the delicacies amidst a well put-together fusion of funky château & old New Orleans maison close decor. elegant, exotic interior..
Who To Take: The environment and feel of the restaurant will be best enjoyed if you come along with a group of your best buddies. TripAdvisor Ranking: Consistently within/around Top 15000 restaurants in London. When? Allow 1.5 hours for the meal/drinks. The timings are Monday to Friday 5pm till close. Pricing: Three courses cost £30 with service an additional 12.5%. Drinks: Beer: £5 (Heineken), Wine: £44/£12 (Sauvignon Blanc, Huia, Marlborough, New Zealand) bottle/glass. Theatres within a 10-minute walk: The Courtyard, Unicorn Theatre and Shakespeare's Globe. Who To Take: The environment and feel of the restaurant will be best enjoyed if you come along with your close buddies. When? Allow 1.5 hours for the meal/drinks. The timings are Saturday to Sunday 11am to 4pm. Pricing: Two courses cost £35 with service an additional 12.5%. Drinks: Beer: £4.50 (Peroni), Wine: £52/£10.50 (Solalto, Fattoria Le Pupille) bottle/glass, Coke: £3. Theatres within a 10-minute walk: Barbican Theatre and Shakespeare's Globe. Our new mysterious dish will lift its mask soon! Who To Take: The environment and glossy setup is just perfect for you to arrange a bachelor party or group re-union in this place. TripAdvisor Ranking: Consistently within/around Top 4000 restaurants in London. When? Allow 1.5 hours for the meal/drinks. The timings are Monday to Saturday 12am to 11:30pm. Pricing: Four courses cost £48 with service an additional 12.5%. Drinks: Beer: £5 (Tsing Tao), Wine: £30/£7.50 (Chenin Blanc Reserve - Ken Forrester Wines) bottle/glass, Coke: £3.50. ocean liner decor feeding upon perfect scallop with saffron velouté and subtly smoky brandade to slow-cooked lamb shank. Who To Take: This a very romantic place and hence it would be ideal to visit this place with your loved ones. When? Allow 1.5 hours for the meal/drinks. The timings are Monday to Friday 11:30am to 3pm and 5:30pm to 11pm. Pricing: Two courses cost £28 and three course cost £32 with service an additional 12.5%. Drinks: Beer: £4.75 (Peroni), Wine: £39/£6.50 (Pretty Gorgeous Wine) bottle/glass, Coke: £2.95. Theatres within a 10-minute walk: Barbican Theatre, Shakespeare's Globe and The Bridewell Theatre. Why: To enjoy lamb with white asparagus, mussels and samphire or turbot with seared chicory in a marble-walled dining room decorated with velvet curtains and lofty ceilings. Who To Take: This place is romantic and at the same time presents great hospitality, hence proves to be a good choice to come with your better half. When? Allow 1.5 hours for the meal/drinks. The timings are Tuesday to Friday 12pm to 2pm. Pricing: Two courses cost £29 and three course cost £35 with service an additional 12.5%. Drinks: Wine: (Champagne - Vouette & Sobree, extra brut, cuvée "Fidèle"). Theatres within a 10-minute walk: Barbican Theatre, Shakespeare's Globe and Sadler's Wells Theatre. Why: To enjoy the delicious scallop shu mai dumplings, seared tuna in miso dressing an other such interesting dishes which shall make you visit this place again and again. Who To Take: The place boasts of many interesting dishes, hence it would be ideal to go and try them with your friends first and then you can recommend to others. TripAdvisor Ranking: Consistently within/around Top 1300 restaurants in London. When? Allow 1.5 hours for the meal/drinks. The timings are Monday to Thursday 12pm to 3pm and 12pm to 5pm on weekends. Pricing: Three courses cost £55 with service an additional 12.5%. Drinks: Beer: £5 (Asahi Japan), Wine: £28/£7.50 (Grenache) bottle/glass. Theatres within a 10-minute walk: Open Air Theatre and Etcetera Theatre. Why: To enjoy some special dishes like veal sweetbreads accompanied by green asparagus, with hints of almond and coffee in an environment which boasts to be civilised yet unremarkable and watched over by irreproachable staff. Who To Take: It would be a great idea to take your beloved partner for a grand lunch to this place and have a lovely time together. TripAdvisor Ranking: Consistently within/around Top 70 restaurants in London. When? Allow 1.5 hours for the meal/drinks. The timings are Monday to Friday 12pm to 2:30pm. Pricing: Two courses cost £35 and three courses cost £40 with service an additional 12.5%. Drinks: Wine: £85 (Lanson) bottle. Theatres within a 10-minute walk: Piccadilly Theatre, The Criterion Theatre and Her Majesty's Theatre. Why: To enjoy the likes of vichyssoise, prawn cocktail or garlicky snails coddled in butter in an expansive dining room made up of leather banquettes, mahogany tables and art-deco posters. Who To Take: The place seems nicely set up for corporate receptions and parties, though, it would be a nice idea to have a grand family dinner here, as well. When? Allow 1.5 hours for the meal/drinks. The timings are Monday to Friday 6pm to 10:30pm. Pricing: Three courses cost £35 with service an additional 12.5%. Drinks: Beer: £4.50 (Météor Pilsner), Wine: £32/£8.50 (2014 Pinot Blanc Mise Du Printemps, Domaine Josmeyer, Alsace ) bottle/glass. Theatres within a 10-minute walk: Chelsea Theatre, The Royal Court Theatre and Victoria Palace Theatre. Why: To enjoy the skewered fleshy white scallops with blood-red sausage and butternut squash purée in a gymnasium transformed into a grand art-deco café complete with paintings of gymnasts, climbing hooks, gleaming marble floors and two entrance-making staircases. Who To Take: The grandeur of the place will charm anyone, hence you can take out your family out here for a grand dinner on a memorable occasion. When? Allow 1.5 hours for the meal/drinks. The timings are Monday to Sunday 6pm till close. Drinks: Wine: £35/£6.50 (Schloss Vaux) bottle/glass. Theatres within a 10-minute walk: Platform Theatre, The Shaw Theatre and Sadler's Wells Theatre Theatre. Why: To enjoy the crunchy and creamy dim sum laced with squid paste or the char-grilled quail crowned by a curled mui choi rice wafer in an environment with a muted exterior that is hard to be ignored. Who To Take: This is yet another place that you can visit with your group of close buddies. When? Allow 1.5 hours for the meal/drinks. The timings are Monday to Friday 12pm to 2:30pm and 6pm till close. Drinks: Wine: £9.60 (Albariño ‘Marinero’, Terras Gauda) glass. Theatres within a 10-minute walk: Barbican Centre, The Courtyard and Sadler's Wells Theatre. Why: To enjoy curried crab and mackerel cake with masala mayonnaise or spiced venison with spinach purée and crisp okra in an environment setup with electric-blue lighting and lacquered floors reminiscent of a nightclub. Who To Take: You will get the maximum enjoyment if you come to this place with your close group of buddies. When? Allow 1.5 hours for the meal/drinks. The timings are Monday to Friday 12pm to 3pm and Monday to Sunday 5pm till close. Pricing: Three courses cost £32.50 with service an additional 12.5%. Drinks: Beer: £4.50 (Cobra), Wine: £32 (SAUMUR ROUGE, ‘LA CABRIOLE’ CAVE DE SAUMUR) bottle, Coke: £3.95. Theatres within a 10-minute walk: Her Majesty's Theatre, Theatre Royal Haymarket and The Criterion Theatre. Why: To enjoy the salad of lobster, mango and soft herbs or to try out the top-drawer Black Leg chicken with peas, pork belly, morels in a place setup with pale wooden screens between tables and soothing views through arched windows looking over church gardens opposite to it. Who To Take: This is a great place for arranging a family eat out or you can come here to have a lovely time with your beloved partner. When? Allow 1.5 hours for the meal/drinks. The timings are 12pm to 2:30pm and 6:30pm till close, throughout the week. Pricing: Two courses cost £26.50 and three courses cost £29.50 for lunch and three course dinner menu cost £30, with service an additional 12.5%. Drinks: Beer: £4.95 (Peroni), Wine: £19.50/£7.50 (Baron Philippe De Rothschild) bottle/glass, Coke: £3.75. Why: To enjoy char grilled 8oz Fillet Steak served with skin-on fries, grilled tomato and flat mushroom. Who To Take: You can come out with your friends for a casual eat out or with your family for a good time out. When? Allow 1.5 hours for the meal/drinks. The timings are 12pm to 7pm throughout the week. Pricing: Two courses cost £15.95 and three courses cost £18.95, with service an additional 12.5%. Drinks: Beer: £4.90 (Guinness), Wine: £26.95/£6.75 (Macon Villages Caves de Lugny) bottle/glass, Coke: £2.90. Why: To enjoy some quality Italian cuisine that you will enjoy at any given day. Who To Take: The place has a welcoming atmosphere and you can definitely bring your partner to spend a lovely evening over here. Pricing: Two courses cost £11.95 and three courses cost £14.95, with service an additional 12.5%. Drinks: Beer: £4 (PERONI RED), Wine: £23.15/£6.15 (VERMENTINO DI SARDEGNA) bottle/glass, Coke: £2.50. Why: To enjoy some delicious pizzas with some quality wine at a great price, simple menu and environment yet so catchy. Who To Take: A good place to hangout with your friends, good food and some casual gossip after office. When? Allow 1.5 hours for the meal/drinks. The timings are Sunday to Wednesday 12pm - 11pm and Thursday to Saturday 12pm - 12am. Pricing: Two courses cost £15, with service an additional 12.5%. Drinks: Beer: £4.50 (Corona), Wine: £17.25/£4.90 (FUZION CHENIN BLANC TORRONTES) bottle/glass, Coke: £2.75. Theatres within a 10-minute walk: Adelphi Theatre, The Ambassadors Theatre and Vaudeville Theatre. Why: To enjoy some authentic Italian delicacies round the clock in a place positioned perfectly for you to jump into a nearby theatre. Who To Take: The mouth watering food served with care, the calm and soothing setup; it is just the place you would want to have a casual outing with your partner. When? Allow 1.5 hours for the meal/drinks. The timings are 12noon till close, throughout the week. Pricing: Two courses cost £11.99 and three courses £13.99 for lunch and for dinner, two courses are priced at £14.99 and three courses at £16.99 with service an additional 12.5%. Drinks: Beer: £3.95 (Peroni), Wine: £16.95/£5 (NERO D’AVOLA, MANDRAROSSA, SICILIA) bottle/glass, Coke: £2.50. Theatres within a 10-minute walk: Adelphi Theatre, The Ambassadors Theatre and The Duke of York's Theatre. Why: To enjoy the simplicity and comfort of the place along with some delicious veg and non veg Italian cuisine. Who To Take: Why not bring your family and treat them with some quality Italian food and then plan for a theatre. TripAdvisor Ranking: Consistently within/around Top 3000 restaurants in London. When? Allow 1.5 hours for the meal/drinks. The availability is round the clock, throughout the week. Pricing: Three courses cost £19.95 with service an additional 12.5%. Drinks: Beer: £4.25 (Peroni), Wine: £15.25/£4.30 (NERO D'AVOLA, SICILIA) bottle/glass, Coke: £2.60. Theatres within a 10-minute walk: Adelphi Theatre, Vaudeville Theatre and Lyceum Theatre. Why: To enjoy classic pancakes with maple syrup & ice cream or some classic British delicacies in an environment that shall make you feel at home. Who To Take: A cool place to hangout with your friends or to spend a light evening with your family. TripAdvisor Ranking: Consistently within/around Top 4500 restaurants in London. When? Allow 1.5 hours for the meal/drinks. The timings are 4pm till close, throughout the week. Pricing: Two courses cost £14.95 and three courses £17.95 with service an additional 12.5%. Drinks: Beer: £4.35 (Corona), Wine: £18.75/£5.10 (CALLIA, MALBEC, ARGENTINA) bottle/glass, Pepsi: £2.85. Why: To enjoy some fantastic new food and quality wine in a cosy and lovely environment. Who To Take: You ought to take your partner out for a date in this place, it is a perfect romantic spot. Pricing: Two courses cost £12.95 with service an additional 12.5%. Drinks: Beer: £4.5 (HOEGAARDEN), Wine: £23.5/£5.95 (VIOGNIER) bottle/glass, Coke: £2.6. Theatres within a 10-minute walk: Lyceum Theatre, Novello Theatre and Duchess Theatre. Why: To enjoy a yummy fish cake or something simple with a new taste like omelette and fries in a very helpful and courteous environment. Who To Take: Its a good place to go for a date with your partner or you can bring your siblings for a treat. When? Allow 1.5 hours for the meal/drinks. The timings are 12pm - 7pm, throughout the week. Pricing: Two courses cost £12.50 and three courses cost £13.95 with service an additional 12.5%. Drinks: Beer: £3.70 (Kronenbourg), Wine: £21.95/£5.45 (Sauvignon blanc la place 2015) bottle/glass, Coke: £2.50. Theatres within a 10-minute walk: The Ambassadors Theatre, Leicester Square Theatre and Adelphi Theatre. Why: To enjoy some good Italian cuisine at a great price and in an affordable price. Who To Take: A perfect place to come with your friends after a tiring day at office to get yourself refreshed. When? Allow 1.5 hours for the meal/drinks. The timings are 5pm - 11pm, throughout the week. Drinks: Beer: £3.70 (Kronenbourg), Wine: £27/£5.50 (Prosecco DOC Ca del Console) bottle/glass, Coke: £2.50. Theatres within a 10-minute walk: The Ambassadors Theatre, Leicester Square Theatre and St. Martin's Theatre. Why: To enjoy some quality seasonal food or fish sandwiches in a very friendly environment with prompt services. Who To Take: You an bring your cousins or friends to enjoy some good food and them rush onto the nearby theatres to enjoy a great show. When? Allow 1.5 hours for the meal/drinks. The timings are Monday to Friday 12pm - 7pm. Pricing: Two courses cost £12.95 and three courses cost £14.95 with service an additional 12.5%. Drinks: Beer: £4.25 (Heineken), Wine: £22.50/£5.65 (Pic Poul De Pinet) bottle/glass, Coke: £2.40. Theatres within a 10-minute walk: The Ambassadors Theatre, Adelphi Theatre and St. Martin's Theatre.